What all of the conditions listed above have in common – besides the annoyance factor when you look in the mirror – is that the damage that causes them to appear on the skin's surface actually takes place in the deep, collagen-producing layer well below the surface. That layer is called the dermis, and is primarily made up of collagen and elastin fibers. It is the skin layer that provides skin strength, volume, shape, structure and elasticity. 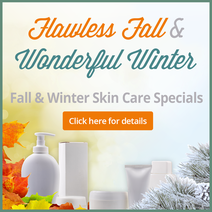 Skin problems, like wrinkles, texture issues and skin laxity appear on the skin's surface in response to changes in the dermis, as aging and sun damage cause collagen fibers to break down and become disorganized, resulting in thinning of that vital deep skin layer and loss of support for and volume in surface skin layers. At the same time, aging and sun damage also slow production of new collagen to repair that deep skin damage, causing further deterioration. Scars appear as trauma or inflammation damages the dermis, and stretch marks appear when the dermis is stretched beyond its capacity during pregnancy or weight gain, creating tears in the dermis. Laser technology has been used in skin care for decades, but fractional lasers represent a significant advancement in that technology. Rather than the single strong beam that has been traditionally used to resurface skin by stripping away surface layers, fractional lasers use an array of tiny beams to penetrate the skin, a kinder, gentler approach that leaves much of the surface skin intact. Those tiny beams penetrate deep into the skin, creating microscopic columns of controlled heat damage all the way down to the dermis. That controlled damage accelerates the body's natural healing process, which benefits both surface skin and deep skin tissues. In surface skin, those tiny treatment areas stimulate production of new skin cells for a brighter, more even complexion, and since those treatment areas are surrounded by unaffected skin, healing occurs quickly. In deep skin layers, fractional laser therapy stimulates an increase in production of new collagen, which will be used to rebuild and repair dermal damage – a process called collagen remodeling. As damage in deep skin layers is healed and repaired by this process, the blemishes it causes on the skin's surface are improved, rejuvenating the skin from the inside out. So there you have it. 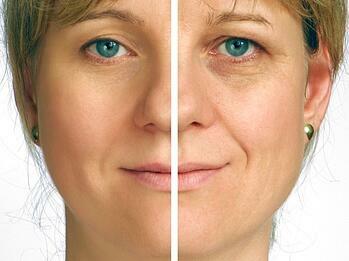 Fractional skin resurfacing is definitely not too good to be true. It is a safe, effective and advanced skin care technology that can make real improvements in the appearance of aging, sun damaged, scarred or stretch-marked skin. Better yet, after affects of non-ablative fractional skin resurfacing treatments are typically limited to skin redness, swelling and irritation – rather like a sunburn, affects that are, in the average patient, resolved within 2 to 3 days.